Wattpad is my latest big adventure, and it’s changing my writing life. 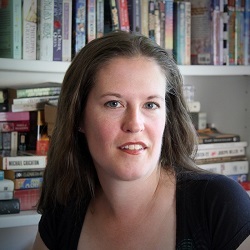 I joined Wattpad seven months ago to follow Katie Cross, who at the time had just serialized her novella The Isadora Interviews and was preparing to start Bon Bons to Yoga Pants. I wasn’t sure what I thought about it, back then. Raw, unedited writing? Authors giving away whole novels for free? Anyone can join and post random stuff? Uhh… But I needed an account to read BBtYP — Wattpad is good like that, you can’t read unless you’re registered — so I signed up. When I read Katie’s blog post about how Wattpad has extended her author brand, I realized that my assumptions about Wattpad were wrong. It’s not all fan fiction and erotica (although those are well represented), and even well-known authors have taken to the platform (all kinds, from Margaret Atwood to R.L. Stine), enough that Wattpad has an orange “verified” checkmark for them. I also had a chance to chat with Jing Jing Tan at Wattpad (honestly, it sounds like the coolest place in the world to work); she was super encouraging, and I learned that it’s truly about connecting readers and writers. At the core, it’s a social media network, only instead of cat pictures and linkbait, everyone there is sharing and discussing stories. I’m loving the feedback and support and conversation. Where sometimes trying to connect with new people through Facebook and Twitter feels like work, Wattpad is making it fun to reach out again. But… changing my life? How can that be? Look, I don’t share my work easily, so I don’t have much to show out there for the length of time I’ve been writing. I find excuses for why I don’t submit stuff, and why I don’t self-publish, but the truth is I’m just scared. Wattpad is making it easier for me. It’s easier with a buddy or two. E.D.E Bell started three days before I did, which gave me the courage to post my first chapter. T.J. Lockwood said she’d do it if I did it, and we both post on Fridays. Reads and vote stars are addictive. Yes, it’s true. I now live for reads and those little vote stars (top right corner of each chapter, yo!). Posting a new chapter sends a notification to all my followers so they can read it… and the number next to the little eyeball goes up, and the vote count next to the little star goes up, and I float on a cloud of happiness. Public commitment works for me. The main page for my work-in-progress says “updates on Fridays!” That’s a promise. No matter how my week goes, and no matter how fraidy-cattish I feel or how I convince myself it’s not quite right and needs more editing, Friday rolls around and that chapter has to go up. In the two weeks since I posted the first chapter of A Husband for Deva on Wattpad, I’ve more than doubled my total public word count (TPWC = words available to the general public, whether for free or by purchase). The best thing is, I feel fabulous about it. Wattpad can’t and shouldn’t be a working writer’s only platform, but as part of a wider author-brand strategy it’s brilliant, and for those who fear jumping into the pool, it’s an awesome way to get our toes wet. Give Wattpad a try, if you haven’t already! Share your profile in the comments. and give A Husband for Deva a read. And remember, on Wattpad you make a writer’s day every time you click that little star in the upper right corner of a chapter. I recently started playing with Tumblr, mostly to follow a few people whose posts I find interesting, and I discovered something: not only is it the perfect way to post work-in-progress clips, but also… there’s something about posting an excerpt out there in public that focuses the mind to good effect. So I think I’ll keep doing this with both favourite bits and troublesome bits. It somehow helps me see them differently.